Threats of a “nuclear winter” in the wake of a catastrophic war with the Soviet Union were rejected as alarmist scaremongering by the late Prime Minister Margaret Thatcher’s government, Home Office papers reveal. Intriguingly, officials working under the Thatcher administration were more concerned with tracking the actions of anti-nuclear campaigners and lobbyists who opposed the deployment of cruise missiles, papers released by the National Archives on Tuesday suggest. 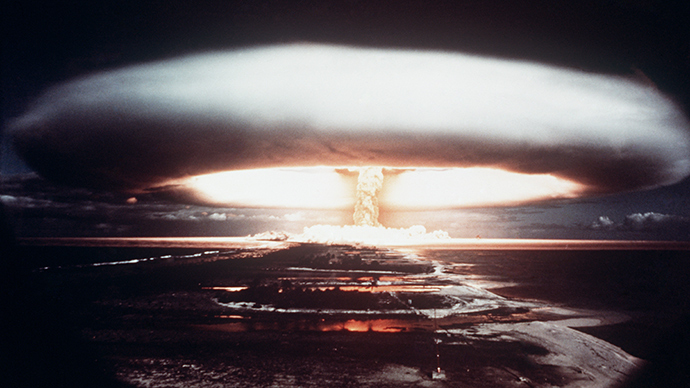 One file, called “Nuclear winter – global atmospheric consequences of nuclear war,” indicates that government officials tasked with emergency defense planning in 1984 concluded they did not need to research the potential impacts of a so-called Nuclear Winter. Other government figures agreed with the Home Office’s emergency planning division that the theory did not require serious assessment, an internal memo dated December 1984 notes. The confidential documents were contained in a cache of classified files released under Britain’s 30-Year Rule, which requires the publication of sensitive government documents after three decades. A product of Cold War tension, the nuclear winter theory predicted serial nuclear strikes would create disastrous firestorms characterized by colossal plumes of black smoke. Advocates of the hypothesis suggested these toxic clouds would hang in the Earth’s stratosphere for prolonged periods, depriving human civilization of adequate sunlight. It was also estimated ground level temperatures would plummet for months or even years, making life for survivors of such a disaster very difficult. But this perspective was ill-informed, the memo suggested, as it ignored crucial clarifications by scientific experts who were studying the theory at the time. Home Office files released Tuesday indicate the Conservative Thatcher-led government was much more interested in monitoring peace and anti-nuclear campaigners on the ground in Britain than delving further into the social, health and environmental repercussions of a nuclear war. Several key anti-nuclear campaigns in Britain were effectively under surveillance, internal government correspondence suggests. “[The] Campaign for Nuclear Disarmament (CND) is planning to … recapture its earlier momentum by major campaigns against cruise and Trident in 1985,” Home Office papers said. The Home Office had considered the possibility that CND was a Soviet front organization, bolstered by clandestine funding from the then-communist bloc, but eventually ruled this possibility out. 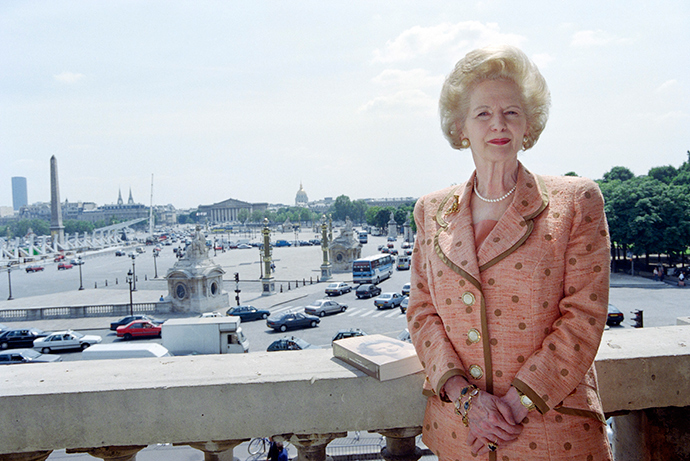 In an effort to turn the tide of public opinion, the Thatcher government considered offering PR and financial support to pro-nuclear organizations. “Continued government support – both financial and through the provision of nuclear PR material – will be necessary,” a previously classified document states. And in anticipation of a nuclear catastrophe, the Home Office commissioned architectural sketches detailing homemade nuclear shelters in special pamphlets. The BBC World Service also drew up a plan to offer 24/7 services from specially designated nuclear-proofed sites, as emergency broadcasting could be difficult in such a climate due to damaged transmitters. But the Foreign Office said such proposed measures were unnecessary, the product of rife “speculation” and simply too costly. Then-Home Office minister Giles Shaw was keen to play down fears of a nuclear winter common to the Cold War era, according to one previously classified document. Approximately 12 months later, however, the perils of nuclear technology resurfaced fiercely in the wake of the Chernobyl disaster in Ukraine. Following the catastrophe, internal government papers released under the 30-year rule indicate that ministers were once again concerned about Britain’s anti-nuclear lobbyists gaining ground. “The main objective of the government in commenting publicly… should be to counter the view… that the British nuclear power program should be cut back because of the Soviet disaster,” the papers concluded.